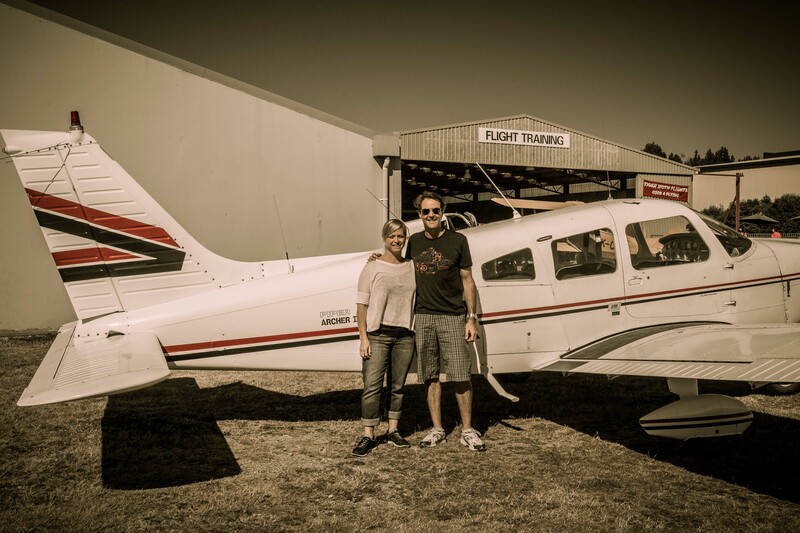 Setting a new definition for the term “flying winemaker”, Blair Walter is both renowned winemaker of Felton Road and local pilot. I had the pleasure of spending heaps (to use a Kiwi term) of time with this charming fellow during the Central Otago Pinot Fest, at the winery, and up in the air, soaring above the Milford Sound of South Island. Fortunately, the day was clear and still so we didn’t have to test his poor weather flight skills. Blair has been the winemaker for Felton Road–founded in 1991–since 1996. He took some time before my arrival in New Zealand to answer questions about his winemaking, as well as reveal he was formerly a guitarist in a rock’n’roll band, the “Shagnasty & the Texan Medium Fries”. Fortunately, after visiting in person, I can say that the wines are phenomenally better than the name of that band. Considerable research by Stewart Elms (hence the Elm tree logo) in 1991 identified the north facing slopes at the end of Felton Road, Bannockburn as being one of the warmest and most ideal sites in Central Otago for the growing and production of premium wine. Heat summation data and soil maps of the area, developed as a result of the construction of the Clyde dam, were helpful in this decision. The three different soils identified are free draining with low fertility characteristics, and combined with the unique climate, are ideal for the production of premium quality Pinot Noir, Chardonnay and Riesling. Our vineyards are managed by our own viticulturist, Gareth King, and his team of dedicated staff. Meticulous summer management of a single vertical shoot positioned (VSP) canopy ensures even and early fruit maturity. Shoot thinning, shoot positioning, leaf plucking and bunch thinning are all carried out by hand as required to ensure optimum quality fruit. We have inter-row planting of various different cover crops in order to assist in controlling vine vigour, improve soil health and general biodiversity. What philosophy guides your winemaking? Our aim is to make vineyard-expressive wines of clarity, finesse, and precision; farm as sensitively as possible (Biodynamic certified on all 4 properties) and make the wines as hands-off as possible. What are the benefits and drawbacks of grapegrowing/winemaking in your region? We have low rainfall and low humidity; pair that with our warm days, and cool nights, plus high sunshine hours, and we’ve got very low disease risk. We get bright acidity from the cool nights that translates into vibrant wines; schist soils contribute to the mineral infused and driven wines. What excites you most about New Zealand wines right now? The ever increasing quality from ageing vines and minds! How do you think Americans perceive NZ wines? 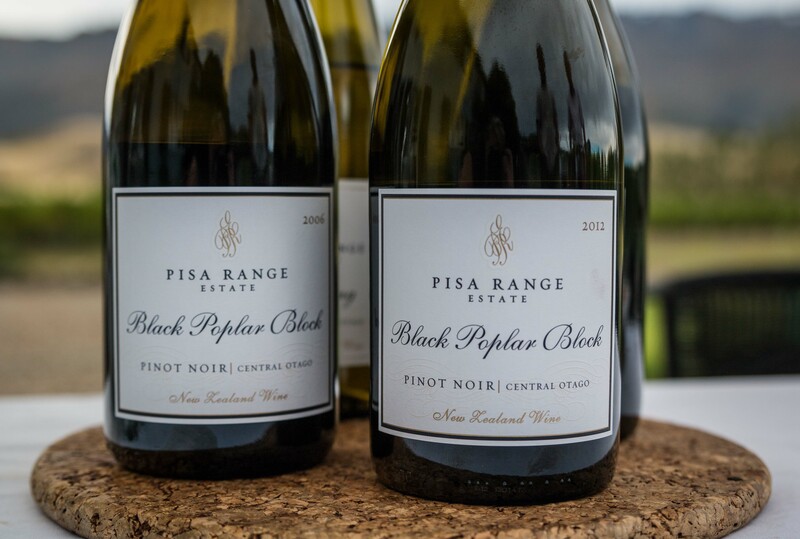 The rest of the world regards NZ Pinot Noir as the finest Pinot Noirs outside of Burgundy. In America, it is different because you have your own very large domestic production of fine Pinot Noir. What is your favorite non-kiwi wine region? Burgundy. Least? I love all wine regions that are making vineyard and regionally expressive wines (there will be some that don’t focus on this but I am not about to try and name them!). Which wine or grape (in the world) is the least understood or respected? Riesling is a bit of a challenge for some – incredibly interesting and versatile as a food wine because of the possibility in our cool climate to make very balanced and poised wines of varying sweetness levels. What do you drink at home when relaxing? White or Red Burgundy. How do you spend your free time (if you have any)? Sailing, flying, mountain biking, and tramping (hiking). If you could be traveling somewhere else right now, where would you be? Vietnam. 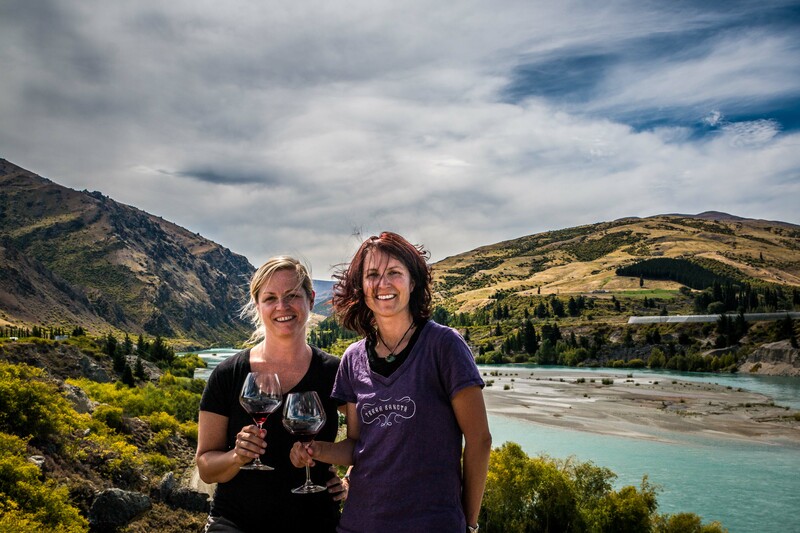 Stephanie Lambert, PhD, is one of a small percentage of female winemakers in Central Otago (and New Zealand generally). She started as assistant winemaker at Amisfield Vineyard in December 2008, and was promoted to winemaker in August of 2010. 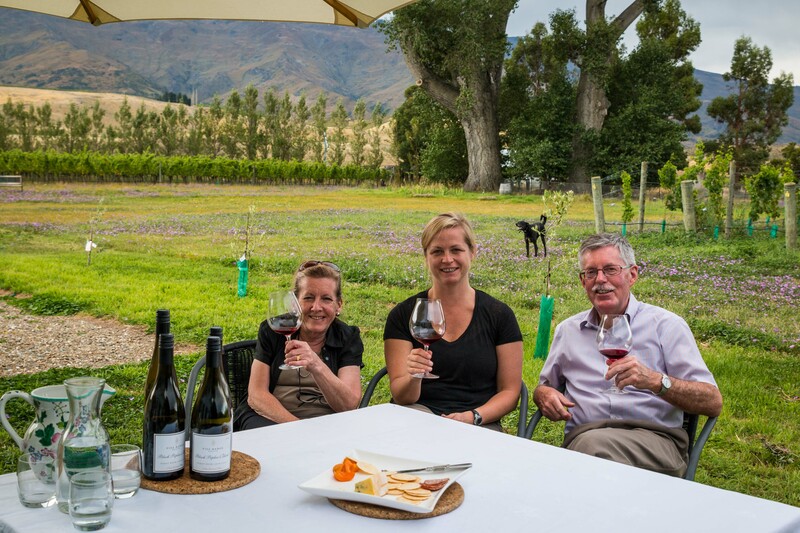 Amisfield is still a young vineyard, like many in Otago—it was first planted in 1999, and rewarded with an inaugural vintage in 2002. They are members of the Sustainable Winegrowers of New Zealand. The owners of the winery opened a restaurant, Amisfield Bistro, not far from Queenstown, that developed a popular following for their locally sourced food and tasting menu called “Trust the Chef” which runs $65/person and requires a leisurely 3-hours of one’s time. Stephanie answered a few questions prior to my arrival in New Zealand, although filled me in on much of her life while we tasted wines and had lunch at the Bistro. 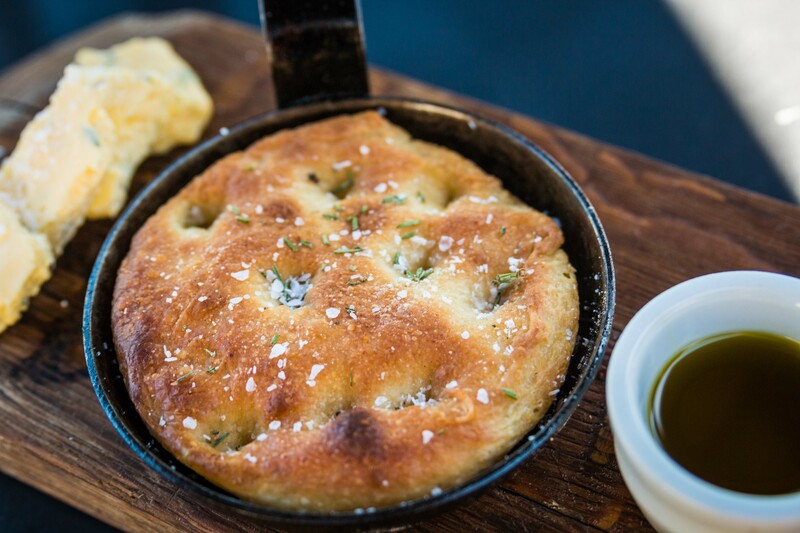 We dined on an excellent artisan bread board which had a flavorful sourdough and herb butter combo, plus whitebait (fish gold) and stuffed zucchini blossoms. Relatively unique to the region, Amisfield makes a small amount of Chenin Blanc—definitely track it down if visiting in person. At Amisfield we try to grow and make wines with integrity. We are very hands on in the vineyard with a full time permanent crew that has some of our longest serving staff. We want our raw environment to lead us rather than for us to put too much influence on the site. We are continuously trialing and experimenting with different techniques and applications in the vineyard to help balance our vines as well as have as little impact on the soils. We put as little on the vines as possible and try to maintain biodiversity in the vineyard. We have ducks, guinea fowl and trout in our ponds. We have an onsite wetland that treats all our winery wastewater which we can then re-use for irrigation. We are slowly converting one of our blocks to organic viticulture. We like weeds as this promotes biodiversity. The grapes at the winery are treated very similar. We like to handle the grapes as little as possible and have a gravity flow winery built for Pinot Noir. I do not like to push the wines, and over the years I am becoming more relaxed with the grapes and the wines. For our Pinot Noir, we do natural fermentations; I like the complex wild dynamics! With the whites, I use a combination of natural and inoculated fermentations. Again, I like to make wines with soul or personality. Some bits of the personality might be a bit strange but as long as they are telling a story, I am happy; imperfections can be interesting. What is your biggest challenge as a winemaker (e.g., volatility of Mother Nature, expense to income ratio, having to actually market your wine)? In Central Otago, it is the weather: no two vintages are the same or can be predicted. I am very lucky at Amisfield, as the company’s philosophy matches my winemaking style. We are driven to make wines of interest, and not so much for the market. What are the benefits and drawbacks of grapegrowing/winemaking in your region? A benefit for grape growing is the perfect weather for Pinot Noir; but that same cool weather often makes it difficult to get our Chenin ripe. We have a South African Vineyard Manager, so the most important wine in the shed is the Chenin! What excites you most about New Zealand wines right now? We are still young but now have some history behind us. We are learning what works on our sites but are also young enough to plant or try different varieties. We have 13 vintages behind us now at Amisfield, and I am just starting to feel I understand the land and the grapes. We can taste our back vintages and see our progression not only in vine age but also as winemakers. It’s a very positive outlook for the region. I like how most winemakers from NZ have travelled and seen other techniques from around the world and come back home and adapt and use these to our wines. How do you think Americans perceive NZ wines? Hopefully Americans perceive our wines as high quality and unique. (And not Australian.) Our wines are cutting edge, coming from a small yet sophisticated country. I think in general our products are perceived as premium. What is your favorite non-kiwi wine region? Least? I had a fabulous time in Oregon but that could have been more for the Mexican food and tequila. I was there in 2003 and 2004,so the region and winemakers were still learning a lot, but it certainly made me see how passionate and focused the region was on Pinot Noir. I loved that. I fell in love with Pinot and I fell in love with the Pinot winemakers: their outlook, their friendliness, and dedication to the one grape was fascinating. I love Alsace and Burgundy also. Champagne was not pretty but has a very interesting history, especially since visiting gave me the opportunity to see exactly what the wars did to the region. Least favourite? Well, I worked in Australia for a while and I think the Riverland region in SA/Vic would be my least favourite. Never been there, but mass-produced, clean and calculated winemaking doesn’t suit me. Which wine or grape (in the world) is the least understood or respected? Well I must say I am a bit boring on this topic as I like the status quo grapes the most and I’m not much of an experimenter. Carignan, or closer to home, Gewürztraminer, perhaps. I wish we made/planted more of Gewürzt. It’s a lovely wine when made well but also takes a lot of skill to perfect. What do you drink at home when relaxing? Riesling. I love Riesling with a hoppy pale ale on the side. How do you spend your free time (if you have any)? I am a solo mum to a 2 year old boy named Jasper, so all my spare time is spent with him having fun and playing games at Lake Wanaka. If you could be traveling somewhere else right now, where would you be? Right now, I would be sailing around the Whitsundays off the Australian coast. A relaxing holiday in the sun, no hassles, just swimming — I love swimming. Probably more realistically, if I was around home, I would be on the wild west coast of NZ, camping with my son in the tent at Okarito Lagoon, hunting for greenstone on the beach, making drift wood huts, and looking at the stars. The added bonus is that there is no cell phone coverage! Northburn Station Winery near Cromwell in Central Otago, had a previous life as a sheep station, founded back in 1882. Tom Pinckney, co-owner with his wife Jan, purchased the property in 1993, and planted vines in 1999–their first vintage was a Pinot Noir from the 10×5 clone. 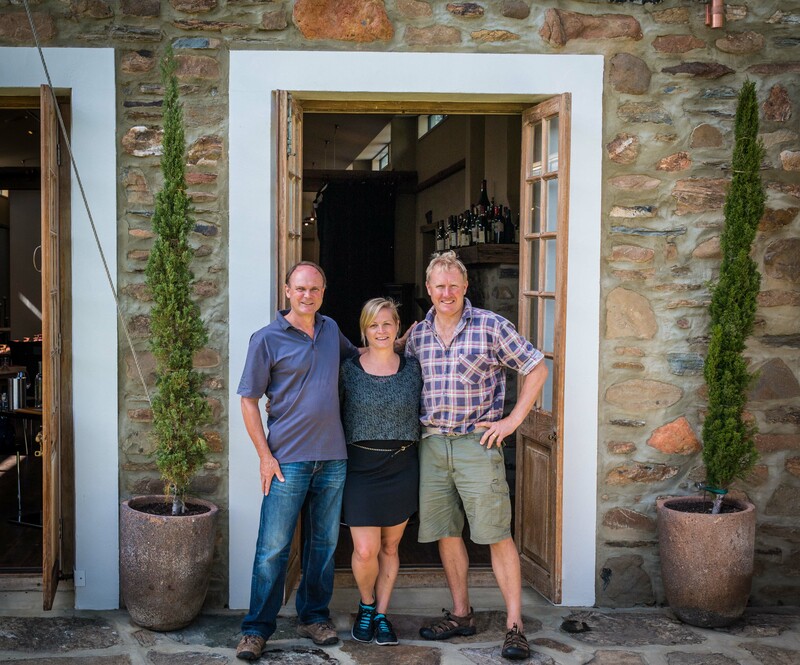 Jan’s brother Richard Broadhead (above in photo) is the company wine operations manager and winemaker. They’ve since built an event space/barn they call The Shed and run a restaurant, and farmgate shop from the property. They also serve a wine and small bite pairing menu. Before my arrival in Otago, Tom took some time to answer questions about his winemaking philosophy and distaste for corned beef. What philosophy guides your viticulture and/or enology? We are organic and bio-grow certified, and practice biodynamics. What is your biggest challenge as a winemaker (e.g., volatility of Mother Nature, expense to income ratio, having to actually market your wine)? Attracting people to our facility (cellar door), and selling volumes at appropriate prices; expense-to-income ratio always a problem mainly due to the low volumes we produce, therefore fixed costs are spread over a small revenue base. However, sales are growing strongly! What are the benefits and drawbacks of grape growing/winemaking in your region? We are ‘on the edge’ therefore yields are low and canopy management costs high. What excites you most about New Zealand wines right now? Their quality and potential to maintain high prices. How do you think Americans perceive NZ wines? High quality, high cost. What is your favorite non-kiwi wine region? Bordeaux. Least? Southern England. Which wine or grape (in the world) is the least understood or respected? Riesling. People still don’t get this grape. What do you drink at home when relaxing? Our own Riesling and Pinot Noir and a wide range of European wines. How do you spend your free time (if you have any)? I play a lot of sports with my young family. If you could be traveling somewhere else right now, where would you be? Japan to go skiing. Give one surprising fact about yourself. Hate corned beef….too much at boarding school! Pisa Range Estate and Winery, established in 1995, is located at the bottom of the Pisa Ranges of Central Otago, New Zealand, hence the suitable–if unimaginative–name, as Jenny Hawker professed to me during my visit last week with her and husband Warwick, son Andrew, and playful dog Pinot. Prior to my visit at the winery, Jenny answered a few questions about the property, the challenges of selling wine and why she’s passionate about her garden vegetables. What philosophy guides your viticulture and/or enology? ‘Minimal intervention’: allowing the wine to express its sense of place or terroir. What is your biggest challenge as a winemaker (e.g., volatility of Mother Nature, expense to income ratio, having to actually market your wine)? Challenges occur every season since no two are the same; volatility of international markets. What are the benefits and drawbacks of grapegrowing/winemaking in your region? Benefits are the climate, purity of sunlight, and our geographical position which results in minimal pest and disease pressure. The greatest drawbacks are climate, e.g., frosts, as well as labour availability. What excites you most about New Zealand wines right now? We are still very young, but many vines are coming into maturity or at least now have some age on them. Our future looks very exciting. How do you think Americans perceive NZ wines? There is little or no knowledge of NZ or its wines. NZ has a very low profile in the USA and there is a great need to raise awareness. What is your favorite non-kiwi wine region? Least? Burgundy is special. Least would be South Africa — their focus is on production of bulk wine rather than fine wine. Which wine or grape (in the world) is the least understood or respected? Possibly Grüner Veltliner. It’s a wonderful food wine. What do you drink at home when relaxing? Depends very much on what we are eating, but usually Pinot Noir or Riesling. How do you spend your free time (if you have any)? Gardening. The background to this answer is somewhat long. I grew up on a ¼ acre in Hawke’s Bay—everyone grew up on a ¼ acre after the war—plots were neatly defined. At the time, we grew everything at home and thus had the luxury of plucking passion fruit, peaches, apricots, and our own asparagus. You never ever forget those tastes. They stay with you forever. We then had seven overseas postings, for varying lengths of time, and what you need when you are away most is comfort, which food provides. We were posted in Beijing at one point. We tried to grow tomatoes on the 13th floor of an apartment by hand pollinating them. They grew, although we weren’t overrun, but we got a sense a satisfaction from it. We always dreamt of having land of our own, so after we completed this last posting in Kuala Lumpur, we started to think about what we wanted to do when we returned to New Zealand. 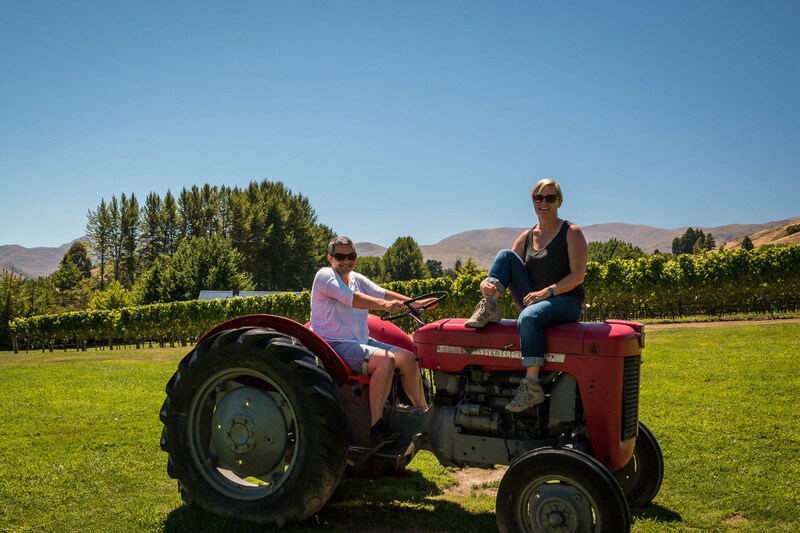 We looked around Nelson and Martinborough, but moving here was rather serendipitous—we went to a dinner with some people who needed to sell a block of vineyard land in Pisa, so we decided to buy it. If you could be traveling somewhere else right now, where would you be? Singapore — it’s vibrant, interesting, and always reinventing itself. Give one surprising fact about yourself. I spent almost 30 years living in many different countries around the world! Ten years ago, Jen Parr and I contemplated our future lives over a glass of Cab Franc. We’d been invited to a party held in the loft of a mutual friend under the Brooklyn Bridge just outside Manhattan. I still hear our words; I can picture the way we draped ourselves across the butcher block island of the industrial-chic kitchen, drinking a fresh vintage of our host’s newest Long Island vineyard experiment. We soberly (in seriousness of topic) outlined our paths, oblivious to the rest of the guests floating around us. We both aspired to follow a vinous trail, no matter how windy or steep or challenging it might become. Jen hoped hers might lead her through the great vineyards of the world; mine – I was still unsure of how it would unfold. But now, a decade later, Jen and I are reunited by our careers, on the soils of Terra Sancta in New Zealand. 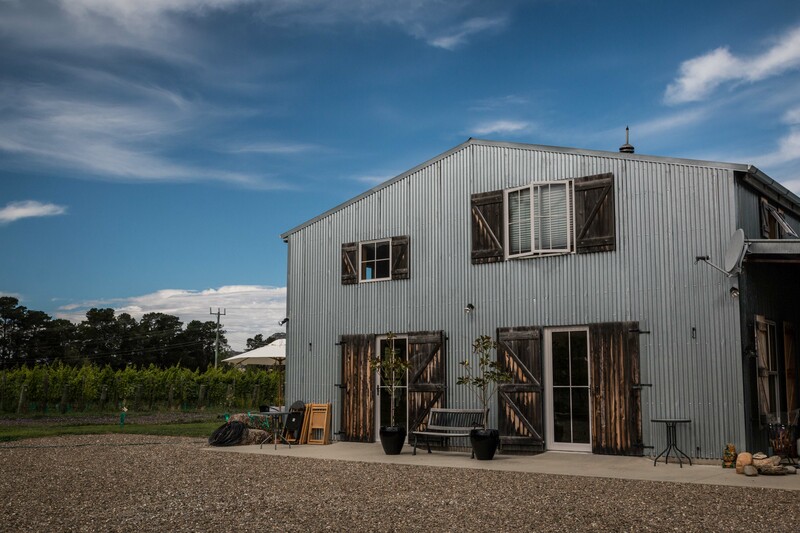 Terra Sancta Winery in Bannockburn, Central Otago, was formed in 2011 by owners Mark Weldon and Sarah Eliott, Kiwis, but coincidentally, also former Manhattan-ites and still lovers of that grand East Coast city that relentlessly propels folks from its walls and into the vines. Despite the young age of the Terra Sancta label, the oldest vines back to 1991, one of few wineries to possess a vineyard surpassing 20 years of age in the region. Jen Parr, the head winemaker since 2007, will have completed 8 vintages at the winery, come 2014 (including when it was under different ownership). 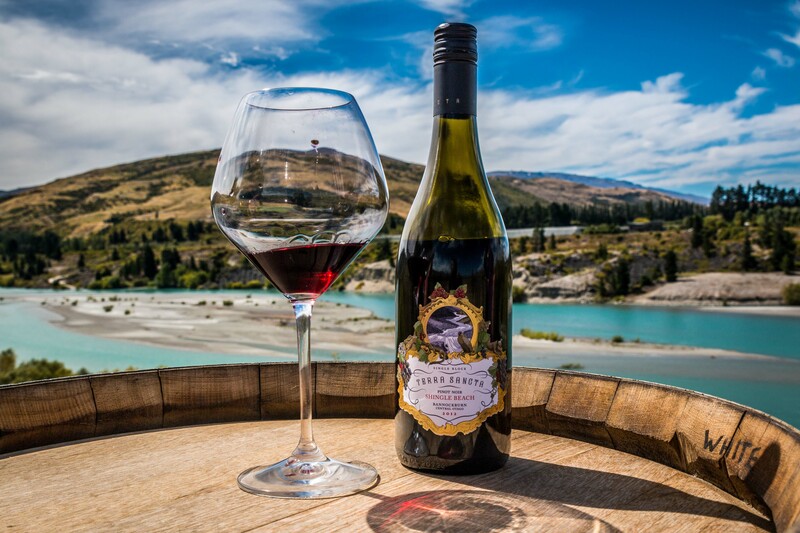 Prior to my arrival in Central Otago for the Pinot Noir Fest, of which Jen is the two-time Chairwoman, she answered a few questions about Terra Sancta’s winemaking philosophy and professed her love of Loire Valley Chenin and licorice ice cream. What philosophy guides your viticulture and/or enology (answer depends on role of respondent)? Our philosophy is coined “terra specific” which means we treat our different blocks and sites as individuals and give them the love and attention they require. Personally I try to understand every nuance of every block and think of them as extended family. What is your biggest challenge as a winemaker (e.g., volatility of Mother Nature, expense to income ratio, having to actually market your wine)? Mother Nature is generally kind to us in Bannockburn except in a year with significant spring frosts. For me, the greatest challenge is trying to nurture grapes without altering their pre-ordained destiny. Making terrior wines is “hands-off” in the winery but all interactions in the circle of wine life give energy and direction. 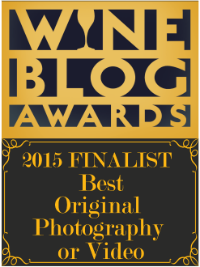 The goal is to work synergistically together to make wines that reflect our place. What are the benefits and drawbacks of grapegrowing/winemaking in your region? I struggle to think of any drawback to making wine in Bannockburn. The climate and soils of the region are so special and perfectly suited to making great Pinot Noir. The arid climate, the gold mining history, the lack of significant rain and the wonderfully beautiful surroundings all add to the appeal of making wine here. How do you think Americans perceive NZ wines? Sauvignon Blanc would probably be the first wine that comes to mind. I think (would hope) that they view our Pinot Noirs as wines of great quality but they may think they are a bit expensive compared to other new world wines. 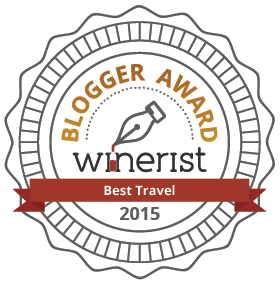 What is your favorite non-kiwi wine region? Least? Sorry, but only one? Northern Rhone and Beaujolais are neck and neck for me for red wines and I love Chenin Blanc from the Loire. I don’t know that I have a least favorite region as I think it’s important to understand all wines of the world. I drink less Bordeaux perhaps (although that’s changing) but I don’t dislike the wines, they just don’t sing for me in the way Burgundy, the Rhone or Beaujolais do. Which wine or grape (in the world) is the least understood or respected? Riesling. The sad reality is that this noble grape is largely mistrusted (probably as much as misunderstood). An amazing wine with such poise and nobility, but it’s incredibly difficult to sell. What do you drink at home when relaxing? Single Malt, Craft beer… Oh, you probably mean wine – yes, plenty of that. Lots of Pinot Noir (including rose), Rhone reds and some Beaujolais. I swap a lot of wines with friends so am always trying wines from all over the South Island. Riesling and bubbles seem to be the wines for “occasions” in our house. How do you spend your free time (if you have any)? I spend lots of times with our dogs who are heaps of fun. I’m outside as much as possible: skiing in winter, mountain biking, hiking and tramping/camping the rest of the year (aside from harvest). I also love having people around for dinner or a wine. If you could be traveling somewhere else right now, where would you be? Right now, in the most wonderful part of summer, I’d like to be here in Wanaka. Once the season changes, I’d like to go to Italy to explore Piemonte, Tuscany, and Sicily. I’d love to do a lot of it on a bike. And if I was there long enough, I’d head to the mountains and ski. Give one surprising fact about yourself. This is a hard one to answer as I tend to lay it all out on the table so I don’t think of myself as a modern woman of mystery. Given my passion (bordering on obsession) for wine, it might surprise some that I used to sell financial software. Also, I’d do just about anything for a scoop of licorice ice cream. With the close of the calendar comes contemplation: what have I learned from the wine world in 2013 and what do I expect (or hope) to see in 2014? A few observations: the rise of a new breed of “somm”, the demise of the wine score, the discovery of a Jedi Wine Master, and the impending Best Wine Year Ever. Australia Does the theory “If you build it, he will come” apply to wine? I hope so, because the woeful state of Australian imports in the U.S. belies the health and creativity of the industry Down Under. A recent visit to Astor Wines confirms the lack of antipodean demand — NZ and Oz shared a shelf smaller than the one devoted solely to NY State craft spirits! The Australian wine market has languished for years at the bottom of the U.S. market, so with nowhere else to go but up, expect to see a breakthrough of fresh vinous perspective in stores and restaurants. Importers like Little Peacock, which focus exclusively on Australian wines, have expressed tremendous optimism for the coming year. The wines produced by the new generation of risk-takers in Oz are lean, refined, funky, terroir-driven, and characterful. They don’t all work, but the journey’s as interesting as the destination. 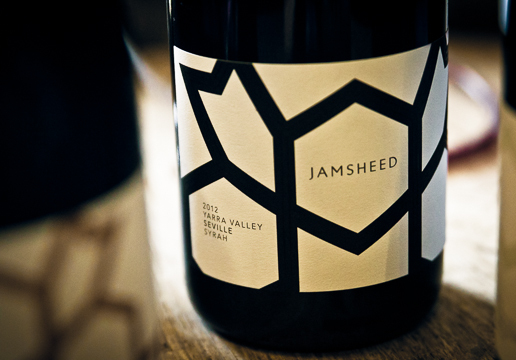 Two to Try: Ben Haines Marsanne 2011, Yarra Valley and Jamsheed “Healesville Vineyard” Syrah 2010, Yarra Valley. 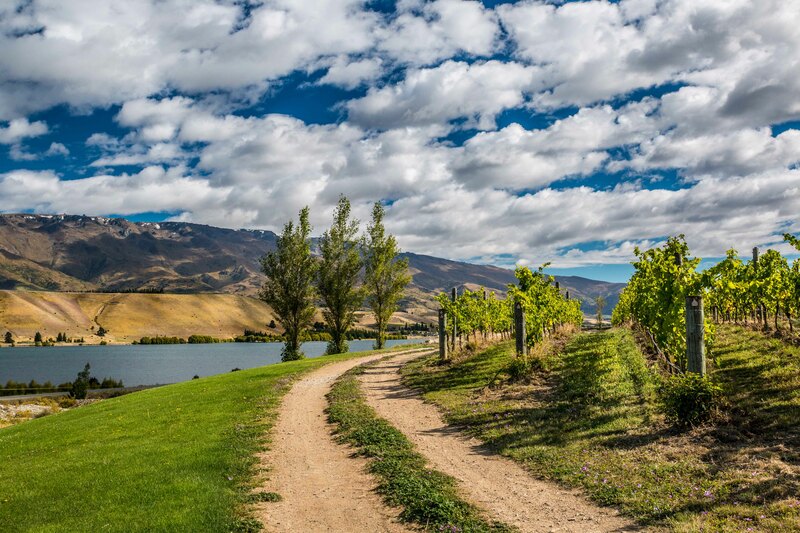 New Zealand This island country faces a different problem from Oz, albeit its wines are still underrepresented in the U.S. New Zealand has done so well with Sauvignon Blanc, the rest of its wines have been ignored. The importance of the grape cannot be overstated. 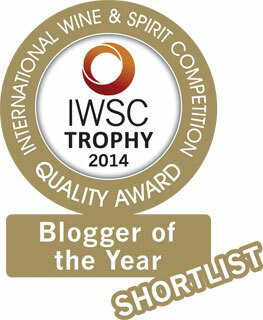 The entire world drinks it (including, to the chagrin of Aussie winemakers, heaps of Aussies). The crisp, grassy style is the New World benchmark for the variety. But there’s plenty more from the land of jagged peaks and glacial lakes to capture a wine drinker’s imagination, and we’re starting to see those wines here in NYC. Fantastic Pinot Noir is trickling out of both Central Otago and, amazingly, Marlborough (the spiritual home to Sauvignon Blanc). For alternative whites, seek out James Millton’s Chenin Blanc. 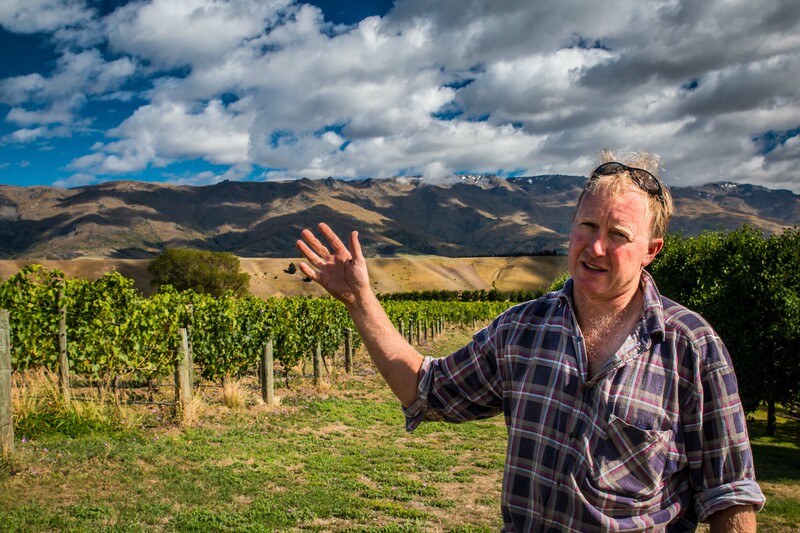 Although produced in the otherwise unremarkable region of Gisborne, he’s been called the Yoda of Kiwi winemakers — a serious endorsement. Is he a true Jedi Wine Master? Drink and find out. Two to try: Terra Sancta Mysterious Diggings Pinot Noir 2012, Central Otago and Millton Te Arai Vineyard Chenin Blanc 2011, Gisborne. In the past, a restaurant’s “sommelier” often fell into one of several categories, each of which — in an era of increased consumer wine knowledge facilitated by ease of access to information and greater willingness to experiment with up-and-coming regions — have become increasingly irrelevant. Fortunately for restaurant-goers, we’ve met the new generation of enthusiastic, educated sommeliers or “somms” who’ve reinvented their role, gifting us a new reason to dine out: access to diverse, reasonably priced bottles. Sure, we’ve seen prices on certain wines this year soar to previously unseen heights, but for the rest of us scanning the lower end of a list for value, we’re in luck: lots more under $50 selections than ever. And somms have managed to balance their lists serving traditional needs while presenting to the curious a plethora of distinctive wines such as zero dosage, undisgorged crémant from the Jura. Where to Try: Corkbuzz by sommelier Laura Maniec, Pearl & Ash by sommelier Patrick Cappiello. Wine lists and retail stores in NYC used to be dominated by European selections — France, Italy, and Spain — with small weight given to the New World and even less to the juice of our citizen winemakers. However, with increased demand for local and hyper-local food sourcing, we’re seeing the same interest applied to wine. 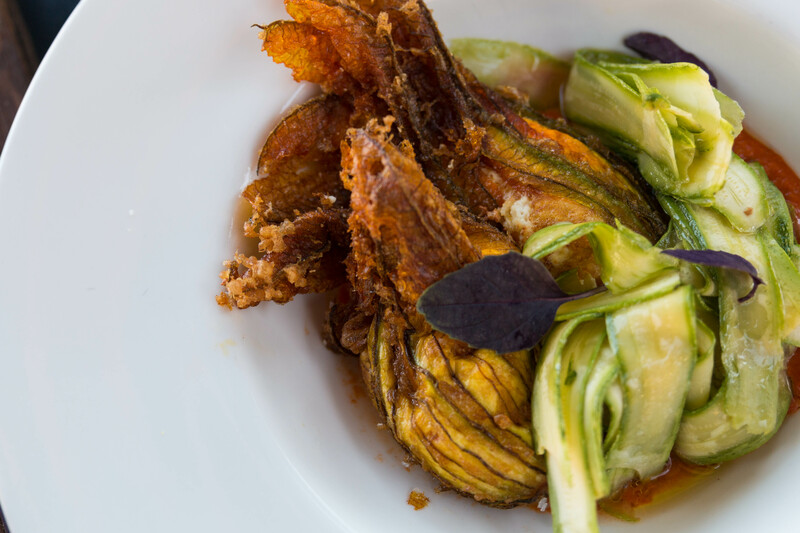 While in the past a reputable fine dining establishment might not dare be caught with anything from the East Coast on its list, sommelier Thomas Pastuszak at The Nomad has embraced our home state. A huge advocate of NY wines, he puts out an extensive list of Finger Lakes bottles. The best part? These wines offer tremendous value — $35 for a bottle of vibrant Riesling with dinner? Yes, thank you. Where to Try: The Nomad; Frankly Wines. 2013 saw the launch of the most lauded device in recent wine history: the Coravin. It’s a wine extraction system that allows the user to pull out a measure of wine, while safeguarding the remaining precious liquid inside against oxidation with inert, tasteless argon gas. Testing has shown the wine can keep for years, allowing drinkers to sample the bottle to check for development or just have a glass of that rare Cabernet bought at auction now and again with a Wagyu ribeye. The pricey but genius device will change wine drinking habits both at home and in restaurants, truly, forever. Del Posto, an initial supporter of the device, offers rare wines by the glass, and Anfora has updated its menu to include a selection of “Coravin Wines.” What shall we Coravin tonight, dear? And a verb was born. Where to Try: Del Posto, Anfora. Finally, America’s adherence to a mono-palate (Parker’s) approach to wine is on the decline. 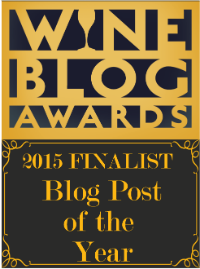 Although Parker stepped down in late 2012 from his post as editor-in-chief of the Wine Advocate — the newsletter he founded that spawned decades of obsession over a 100-point grading system that favored huge wines — in February 2013, he became the first wine critic inducted into the Culinary Institute of America’s Vintners Hall of Fame in Napa Valley. 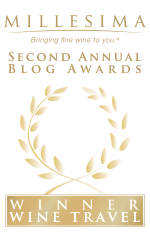 Perhaps a deserved award, but the collective unfettering of our taste buds over the year has left individuals free to make independent decisions — or at least use more resources to do so. Trusted local retailers in conjunction with social media apps like Delectable and Drync have been filling the void. Overall, NYC wine drinkers are imbibing during exciting times. Whatever we want, short of actually flying to the vineyard, we can find. Wines from Croatia? Blue Danube’s got them. Need that expressive, biodynamic Umathum from Austria? WineMonger’s your importer. Our increased curiosity and willingness to drink anything has encouraged importers to scour the globe and bring us a range of wines that dazzle in their diversity. So, keep sipping folks — 2014 looks to be our best year yet.